In our house we use a token economy to encourage our kids to be the best they can be. Instead of the old school "take something away" form of discipline (i.e. you can't go on the computer for a week because you talked back too much), we do the opposite. We reward good behavior first. Every month we choose three positive behaviors we want to see in our kids. When their dad or I see these behaviors we can reward them with a token. We can give them as many tokens as we feel like throughout the day. They can also lose tokens by showing three negative behaviors we choose monthly. Once they earn 30 tokens they got to take a trip to the reward closet. 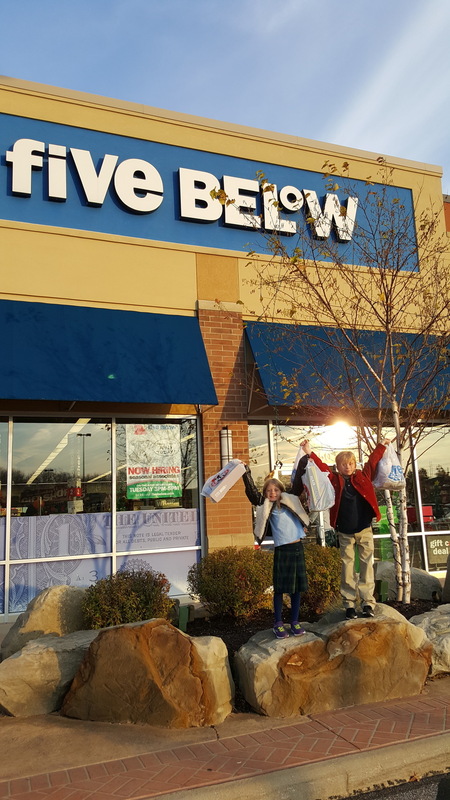 Before I told the kids about the token economy I took them on a shopping spree at Five Below where everything, everyday is just $5 and below. 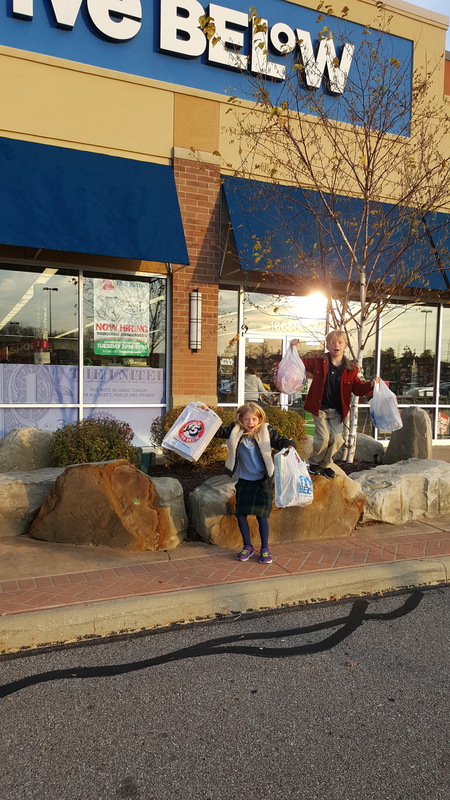 I gave them each a gift card, a budget, and 30 minutes to buy as many things for themselves that they wanted with the knowledge that they would not be able to immediately open what they purchased. Ever wanna see a kids insane excitement turn to emo gloom in about 6 seconds? Turn them loose in a store with toys, style, room, sports, tech, crafts, party, candy, & pre-teen goodies, let them buy stuff, and then tell them they can't have it. They. will. lose. their. minds. 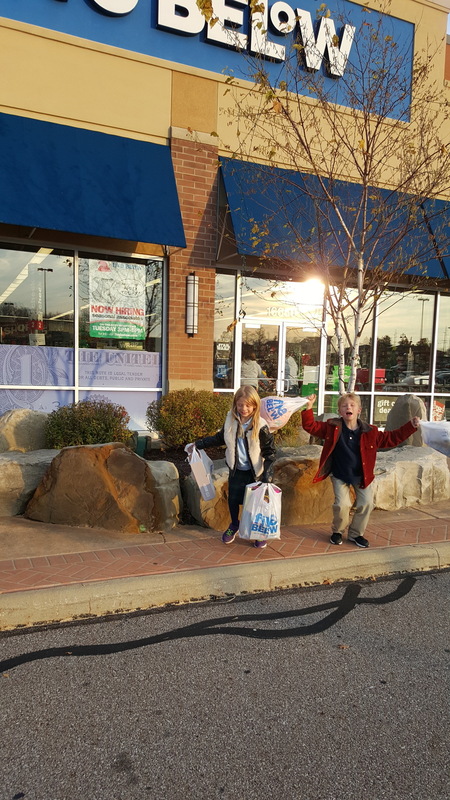 Luckily for me, the brights aisles of colorful Lego® and the Disney® toys for days quickly stole their attention and soon the Five Below carts were full. They added up the totals of their items and put back what didn't fit in their budget. We loaded up the counter and even though they were absolutely DYING to play with something, just anything, they were both curious about the plan I had been keeping from them. With their hands full of the blue and white bags, we piled into our car. I began to tell them the plan of our new Token Economy. That was two months ago and in that time both kids have earned a trip to the reward closet. Both kids are still excited about earning tokens on the daily. Both kids are NOT excited when they get them taken away. Now that a Five Below Reward closet trip has come and gone both are much more conscious of not getting their precious tokens taken from them. All in all, I think the token economy is gonna stick around for this family for a little while indeed. This is a sponsored post for SheSpeaks/Five Below.